Unsurprisingly It ended up being relatively quick and easy to implement. if lhs.Currency <> rhs.Currency then invalidOp "Currency mismatch"
In the code above I’ve used an F# record type with operator overloads for multiplication and addition. 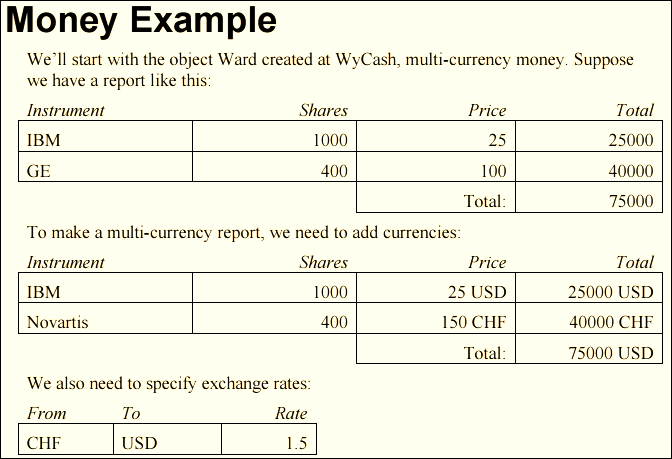 Here I’ve used a record type for the table and simple functions to look up a rate and perform the conversion. For the report generation I’ve used a simple projection to generate the rows followed by a map/reduce block to compute the total in the target currency. There’s a number of different ways to view a generate the report. At first I looked at WinForms and WPF, which provide built-in data grids, but unfortunately I couldn’t find anything “simple” for showing summary rows. For the HTML generation I wrote a small internal DSL for defining a page. Which I think is pretty self-explanatory. I was able to implement the report in small steps using F# interactive to get quick feedback and test out scenarios, with the final result being as expected on first time of running. Overall I’m pretty happy with the brevity of the implementation. F# made light work of generating the report, and statically generated HTML produced a nice result with minimal effort, a technique I’ll be tempted to repeat in the future. The full script is available as an F# Snippet. 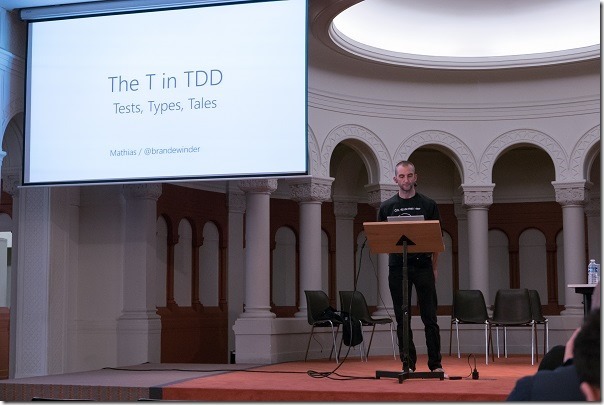 Mathias Brandewinder gave an excellent closing talk on The T in TDD : tests, types, tales. 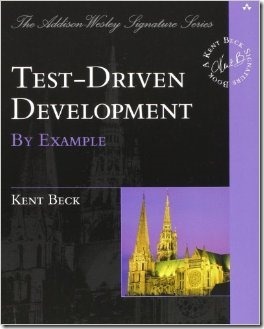 In this live coding session, Mathias took the multi-currency money example from Kent Beck’s seminal Test-Driven Development by Example book. First implementing a dollars class in C# driven by a unit test for quick feedback and then contrasting it with a similar implementation in F# using the REPL for immediate feedback. The code now compiles, but the test fails! Note: at this point FXCop will also recommend that we implement GetHashCode as we’ve implemented Equals. Note: F# units of measure are erased at compile time meaning there’s no runtime performance penalty. This succeeds immediately as F# implements equality (and GetHashCode) by default for us on record types. As an aside, I find assertions over numerical types are more natural using the Unquote library which lets you assert equality using the equals operator, i.e. When writing code we may seek quick feedback on our first implementations. In C# we’d typically write reflection based unit tests to get early feedback, in F# we may use F# interactive first for immediate feedback and later promote useful tests to reflection based tests that run as part of our continuous build and may help find regressions. Also in this scenario implementing types in F# required a lot less boilerplate than the equivalent C# code. In the same week fsharpWorks conducted an F# Survey, the results of which are well worth a look. One of the questions was ‘What kind of learning material would you like to see more of?’ with a popular answer being ‘More material with short "cookbook" style information’. An easy place to get started with F# is to use a popular IDE, for Windows there’s the free Visual Studio 2013 Community edition, and for Mac and Linux there’s Xamarin Studio and MonoDevelop. Then run with Debug –> Start without Debugging (Ctrl+F5), which runs the app and waits for you to press a key. 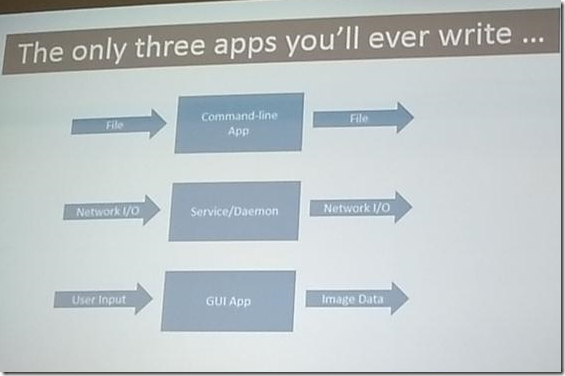 An easy option in F# for creating a GUI app is to use the Windows Forms library. To do this simply add a reference to you’re existing console application. In Visual Studio right click the project’s references folder and select the System.Windows.Forms.dll reference. You should see an empty window on the screen. That’s all folks! Just a few lines of code and we’ve got a grid up. Hopefully you can see in this F# introduction creating a console app or GUI app is a relatively simple task. If you’d like the complete set, then check out Tomas Petricek’s tutorial on MSDN: Creating Windows Services in F# or Mike Hadlow’s recent self-hosted web service sample: A Simple noWin F# example.